General T.Y. Danjuma has become a bête noire in my part of Nigeria, that is, the Muslim north, for saying two things: that people should defend themselves against armed attackers and that the Nigerian military isn’t neutral in conflicts. These are certainly strong words, especially from someone who embodies and wields the kind of enormous social and symbolic capital that Danjuma does. Until now, he was one northerner who had managed to capture the imagination of both the Christian north and the Muslim north. Although some sections of his immediate, primordial vicinity don’t see him as “neutral” in the slaughterous communal upheavals that episodically erupt between the Jukun and the Kuteb and between the Jukun and the Tiv, he excites— or used to excite— positive passions among both Middle Belt sub-regionalists and pan-northern Nigerian enthusiasts. No living northerner even comes close to approximating this sort of mutually exclusive appeal in the region. And it’s precisely this fact that got some people in the Muslim north heartbroken. But this heartbreak and the stream of coarse attacks it activated against Danjuma are hypocritical for a number of reasons. First, it’s a universal truth that self-preservation is the first law of nature. It’s instinctive. And it’s lawful. So Danjuma didn’t say anything new. More than that, though, several prominent people have given expression to Danjuma’s sentiments before and after him. For instance, in a March 31, 2018 interview with the Daily Trust, the Emir of Birnin Gwari, Alhaji Zubairu Jibril, echoed Danjuma’s exact sentiments. It’s worth quoting at length. If we’ve all come round to agreeing that self-defense isn’t unlawful, why was Danjuma condemned for advocating it? In 2012, General Muhammadu Buhari said something even more incendiary, and the people who condemned Danjuma for what he said on March 24 defended Buhari vigorously at the time. Buhari said if PDP rigged the 2015 election, “the dog and the baboon will be soaked in blood.” I was one of the people who wrote to defend Buhari then. In my May 27, 2012 grammar column titled “Idioms,Mistranslation, and Abati’s Double Standard,” I pointed out that “kare jini, biri jini,” the original Hausa expression Buhari used, was merely an idiom to connote fierce competition. “[H]ad the non-Hausa speaking spin doctors of the presidency understood ‘kare jini, biri jini’ as the lexical substitute for ‘fierce competition’ (the same way, for instance, that English speakers … understand the expression ‘break the back of the beast’ not as a call to violence against wild animals or humans but as the lexical substitute for ‘overcome a difficulty’) this pointless controversy wouldn’t have emerged,” I wrote. “My concern is that Buhari's remarks are still a bit problematic even if correctly interpreted. Let's assume that ‘kare jini biri jini’ just means ‘fierce competition.’ From his remarks, I can gather two things: 1. Whatever he was predicting will happen AFTER the 2015 election and not before it 2. He is promising a NEW kind of reaction to PDP's rigging different from the way his party has reacted before. “Now, considering these two points, how would you apply the expression ‘fierce competition’ to the 2015 post-election period? Was he referring to a fierce legal battle or fierce post-election press conferences? Or is it fierce rallies and demonstrations? It is unlikely that he was referring to a fierce legal battle because his party engaged in that three times before with no positive outcome. It is also unlikely that he was referring to fierce press conferences to reject the rigged result because his party has done that one too previously. The last one, i.e., fierce protest rallies and demonstrations is the likely one because his party has not done that before officially. I couldn’t agree more. In other words, Buhari instructed his supporters to take the laws into their own hands if the election was rigged. That’s unlawful. And it’s absurdly escapist to pretend that the military is neutral. Minister of defense Mansur Dan Ali has already taken sides in his unwise pronouncements in the aftermath of deadly conflicts between farmers and herders. Buhari himself was the victim of the military’s lack of neutrality during the 2015 elections. Service chiefs conspired with Jonathan to cause the date of the presidential election to be shifted. Army spokesman Brigadier Olaleye Lajide also told the news media that Buhari had no school certificate, and that he got enlisted in the army on the written recommendation of his high school principal. That’s not a neutral military; it’s a military that is beholden to the president and what it perceives to be the president’s interests, a reason Governor Nasir El-Rufai (in)famously called the Nigerian armed forces “genocidal Jonathanian army” on June 26, 2014. 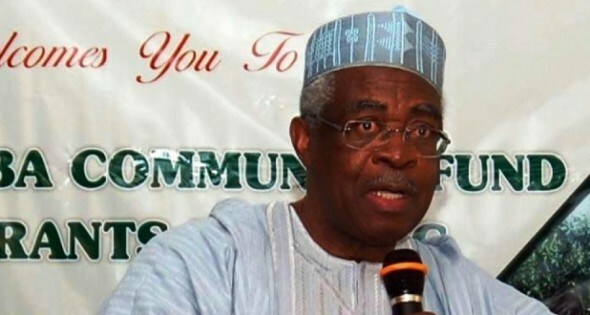 Why should there be an uproar because Danjuma acknowledged the military’s lack of neutrality?